A wonderful vehicle to rent long term and see Australia with. This is for longer term rentals of 1-3 months and would suit a couple. Very compact ,just right for two person . Easy to park everywhere and only about 10l /100km. Set up with all comforts plus generator and solar for free camping along the highway. Also happy to help and give suggestions on where to go. 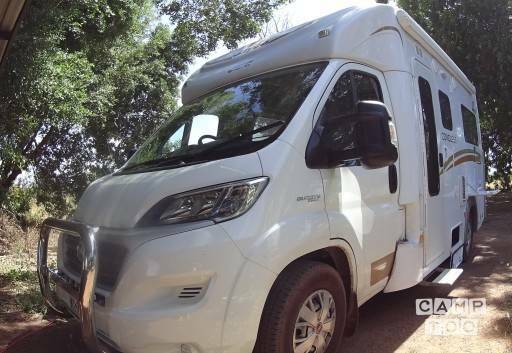 With only 5000km completed in this vehicle you are getting a brand new motorhome. Come and have the adventure of your life. Look after it as if it would be your own. Je kan de camper ophalen in Kununurra bij Franz.